Being in Melbourne over summer is sensational. Take a look at our Top Things To Do In Melbourne over the next few months. 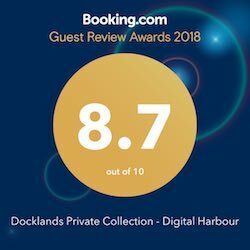 The place to stay is at Docklands. Nothing epitomises a holiday quite like a relaxing massage. We want you to put your feet up and feel like your best self during your stay, so we’ve paired up with Luna Massage Services for a discounted pampering. Relieve those silly season aches and pains by taking $25 off your luxurious Hot Stone Massage. That’s 90 minutes of pure float-worthy relaxation. Have you got little Harry Potter fans in tow? Or perhaps some not-so-little ones? Melbourne is definitely the place for you. Harry Potter and the Cursed Child is on its way to our city – exclusively. The show opens in early 2019 at the stunning Princess Theatre after its world premiere in London’s West End and highly-anticipated opening on Broadway in April. Magical memories await. There’s nothing quite like mixing a balmy Melbourne evening with a spicy dish to transport your tastebuds to the cultural delights of South-East Asia. Beeline to Bopha Devi for a tantalising serving of Cambodian cuisine. We’re looking at you, Choo Chi (barramundi in coconut cream, lemongrass, turmeric, lime leaves, nuts, green beans and rice). Find it at 27 Rakaia Way, Docklands. It’s one of the best ways to see Melbourne – especially in the heat. Jump on the back of a three-wheeled adventure trike tour and let Tours On Trike show you a totally different side of the city. Choose from a one-hour spin right up to a full day adventure. Tours run every day, departing from the Docklands. 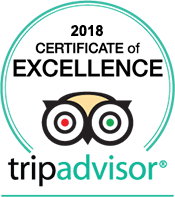 Click here for info and bookings. Once you’ve roamed our beautiful concrete jungle, take time to venture out into the seas with Sailing Melbourne. Climb aboard the SV Alexander Stewart, a family-owned 60ft timber yacht lovingly crafted with hand-carved timber by a father, uncle and grandfather across two decades. You can spend three hours sailing in beautiful Port Phillip Bay. Departing from the Docklands, the boat sails down the Yarra and out into the bay. Click here for info and bookings. Even more great things to do near Docklands. © 2019 Docklands Private Collection of Apartments. All Rights Reserved.